Make every moment with your child count. Tap into the psychology behind your child's behaviour and respond with confidence. Covering all your child's developmental milestones from ages 2 to 7 years, What's My Child Thinking? covers important issues - such as temper tantrums, sibling rivalry, and peer pressure. What's more, there is a bank of practical "survival guides" for critical times, such as travelling in the car and going online safely. Rooted in evidence-based clinical psychology and championing positive parenting, What's My Child Thinking? 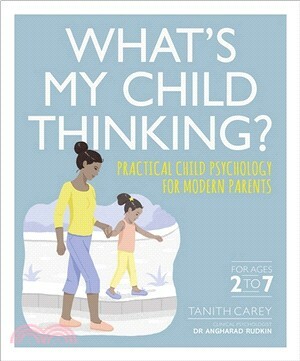 will help you tune into your child's innermost thoughts and be the parent you want to be.